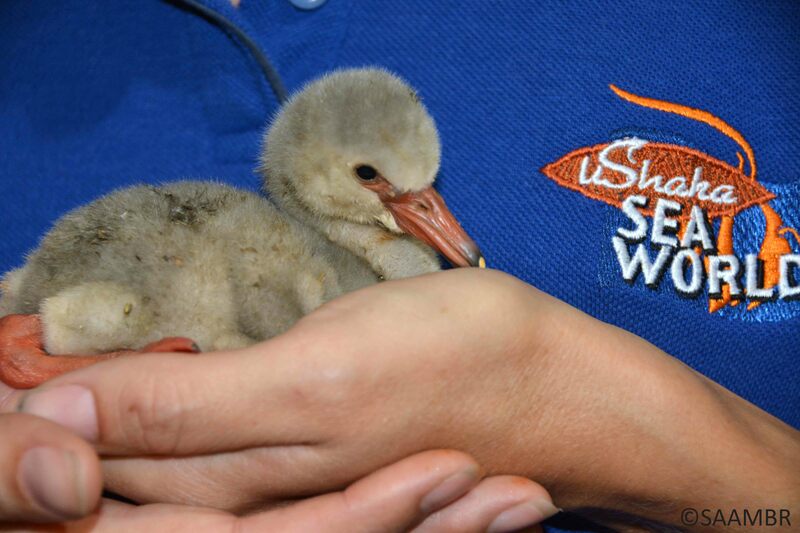 uShaka Sea World is now a temporary home for 250 Lesser flamingo chicks rescued by the Kimberley SPCA (Society for the Prevention of Cruelty to Animals) and others from the Kamfers Dam near Kimberley. uShaka Sea World Director, Tony Mc Ewan, leapt into action the moment the SPCA contacted him for assistance. The Kimberly SPCA needed suitable accredited facilities capable of hand raising 250 of the thousands of abandoned Flamingo chicks. uShaka Sea World is well placed to assist with the rescue efforts as we assisted with the Treasure Oil Spill in 2000, during which we cared for hundreds of penguin chicks prior to release. 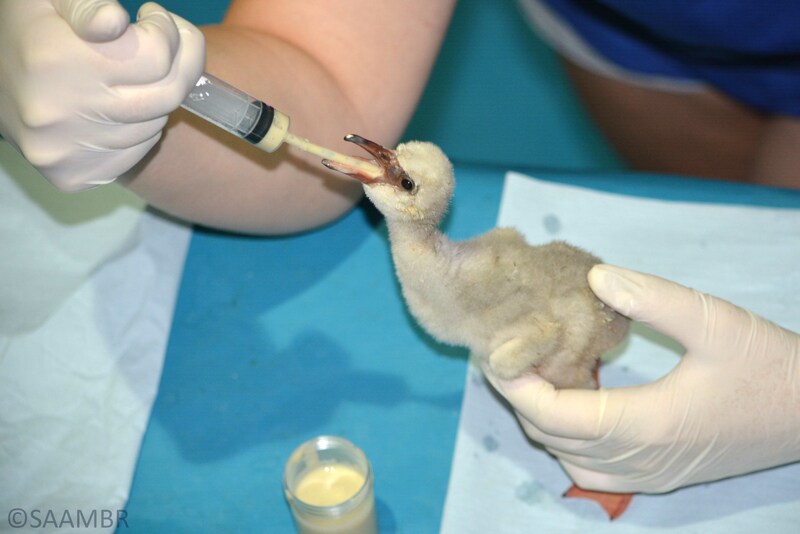 Although we have not housed flamingos in the past, resident veterinarian Francois Lampen has experience with this species and is confident that our animal care team is qualified to assist these desperate young chicks. ‘If these chicks are not rescued, they will all die. We know that many may still die. Saving them at this stage will not be easy, but if we can at least save a few we will be helping this species,” said Dr Francois Lampen SAAMBR Veterinarian. About 15 000 Lesser flamingos (Phoenicoparrus minor) nest at the Kamfers Dam. 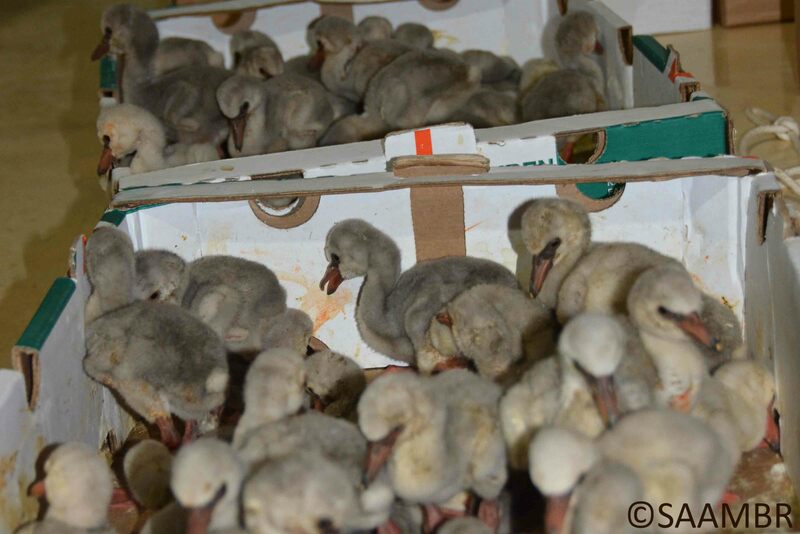 However, due to a combination of issues, the dam is drying up and the chicks have been abandoned. Rescue efforts have been initiated and the chicks, which are all just days old, are being sent to suitable facilities around the country. 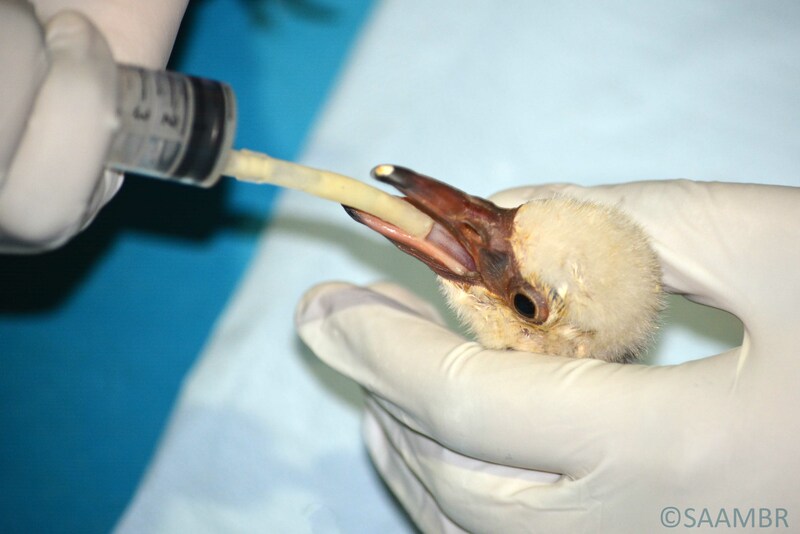 A number of PAAZA (Pan African Association for Zoos and Aquaria) around South Africa have opened their doors and accepted various numbers of the stranded chicks. Although they are scattered around the country, the chicks’ rehabilitation will be a collaborative effort as various organisations work together towards their recovery and release. 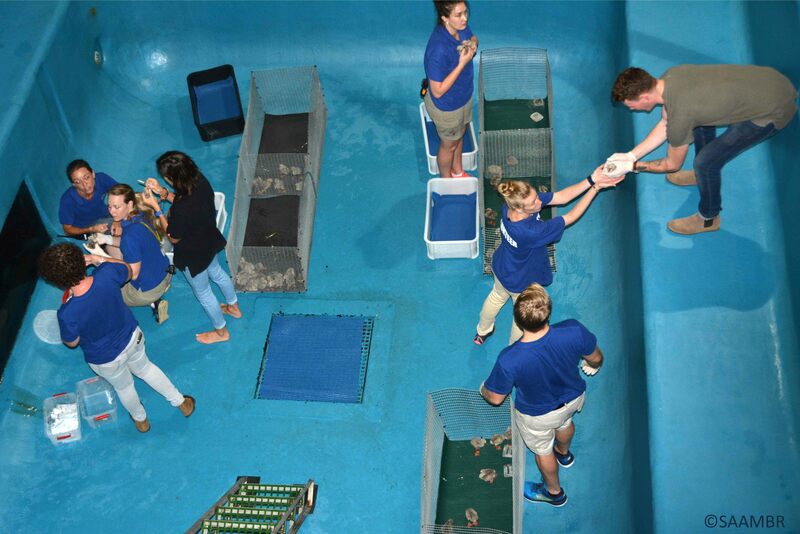 “I am delighted uShaka Sea World agreed to provide a home for 250 of the stranded chicks as I have every confidence in their ability to offer extraordinary care” said SPCA’s Flamingo project co-ordinator, Linja Allen.